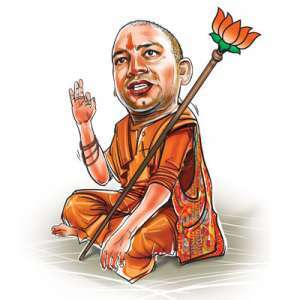 The Yogi Adityanath government in Uttar Pradesh was left red-faced on Tuesday as one of its cabinet ministers, Om Prakash Rajbhar, claimed that corruption had increased under the present dispensation. BALIA: The Yogi Adityanath government in Uttar Pradesh was left red-faced on Tuesday as one of its cabinet ministers, Om Prakash Rajbhar, claimed that corruption had increased under the present dispensation. Rajbhar, who leads BJP ally Suheldev Bhartiya Samaj Party (SBSP), also said that his party was not getting the due respect under the present government. “There is more corruption prevailing under the BJP regime as compared to the previous SP and the BSP regimes. Though I am part of this government, this is not my government…We have an alliance with the BJP,” Rajbhar told PTI over the phone. The SBSP is not getting due honour in the BJP regime, he added. “I have talked to the chief minister on these issues,” he said. Asked whether his party would contest the 2019 Lok Sabha polls with the BJP, Rajbhar said it depended on the saffron party. On the violence in Kasganj, Rajbhar said the incident was unfortunate and claimed some officers were defaming the government. The minister had recently waded into controversy by issuing a warning that parents who fail to send their wards to schools will be locked up in police stations without food and water. The SBSP, which has four MLAs in the 403-member UP Assembly, had contested the Uttar Pradesh civic polls separately. It had even contested a few seats in the Gujarat Assembly elections on its own, asserting that its alliance with the BJP was not at the national level.